By the time Apple ships its rumored "iWatch" smartwatch, the company will be entering a crowded market. A smartwatch is a wristwatch device that connects to the Internet (directly or via a smartphone) and runs apps. The Financial Times this week reported that Google's Android group (not the company's X Lab) is developing a smartwatch. That suggests Google plans to ship a smartwatch soon, possibly this year, and could even announce it at the Google I/O developers conference on May 15. A Samsung executive this week not only announced that his company is working on a smartwatch, but that they've been working on it for a long time. A Chinese company called Gouke plans to sell both an Android version of its Bambook Smart Watch by this summer as well as another version running the Firefox OS. Sony sells a smartwatch actually branded the "SmartWatch," which the company updated this week with new watch faces as well as a notification previews feature. 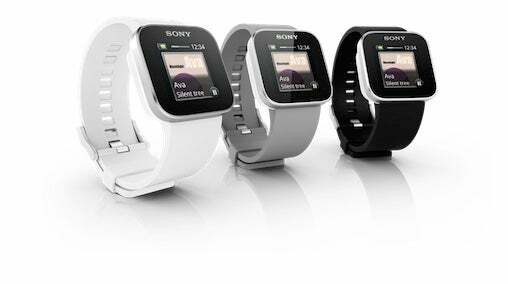 Sony says there are more than 200 apps on the Google Play store specifically designed for the Sony SmartWatch. A startup called Pebble Technology shipped in January its Pebble E-Paper Watch, a project crowd-funded on Kickstarter. The Pebble has a black-and-white E-paper screen and connects to an Android or iOS device via Bluetooth. And there are many other new smartphone-connected smartwatches including the Cookoo, the I'm Watch, the MetaWatch and the Martian Smart Watch. Pundits, journalists and bloggers are writing a lot about the new smartwatch category. But almost everything they're predicting about the future of smartwatches is wrong. Here are the 8 biggest myths about the coming smartwatch revolution. Myth #1: There won't be a smartwatch revolution. In fact, the revolution looks almost certain. Every major consumer electronics company will sell at least one, and competition to develop the most attractive watches with the best features at the lowest prices, combined with breathtaking new technology, will result in a consumer-electronics category filled with choice, innovation and amazing new applications. Myth #2: Smartwatches will fail because nobody wears watches anymore. Smartwatches don't fail because nobody wears watches. Nobody wears watches because smartwatches fail to thrill consumers with the right combination of features, performance and price. But the new generation of smartwatches will prove so compelling that people will be happy to wear watches again. Myth #3: Smartwatches are for people too lazy to take the phone out of their pockets. A strange assumption has emerged that smartwatches will exist to merely duplicate a subset of the features on a smartphone. As a result, smartwatches are already being dismissed as an over-priced luxury item for people too lazy to pull their phone out of their pocket.